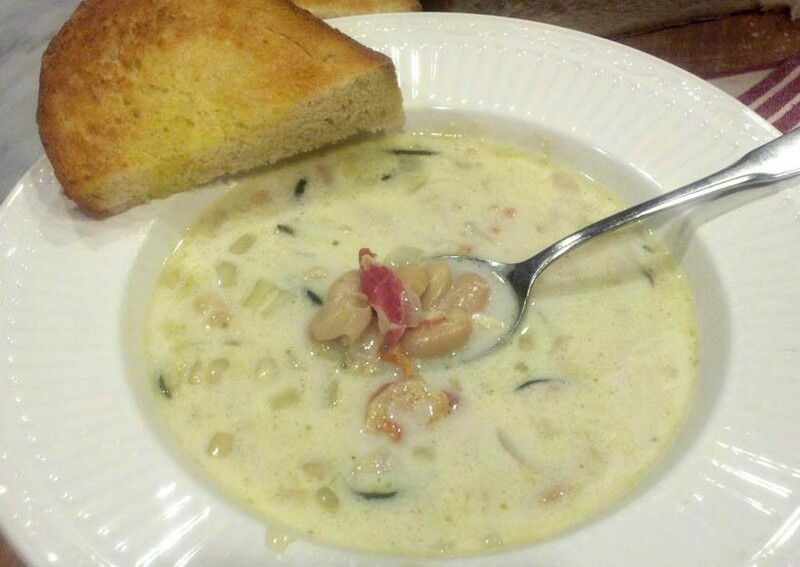 Serve this delicious soup with rye bread for a hearty lunch. 1. Put the Cooked Farmer’s Sausage in a pot of cold water, and bring to a boil. Reduce the heat and simmer slowly for half an hour. Remove the sausage and set aside. 2. Add the onion, garlic and marjoram to the pot and simmer another 10 minutes. Stir in the zur. 4. To serve, add sliced Cooked Farmer’s Sausage and sliced hard-cooked eggs to each bowl of soup; add horseradish to taste.